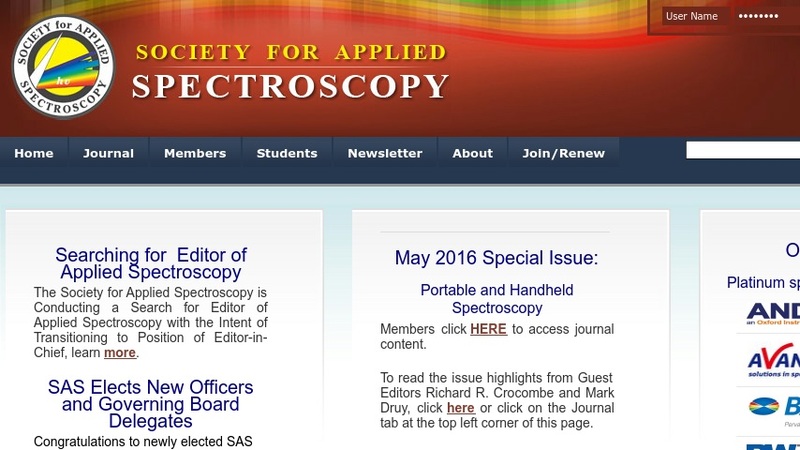 "The Society for Applied Spectroscopy is a nonprofit organization formed to advance and disseminate knowledge and information concerning the art and science of spectroscopy" as well as to advance the professional standing of the Society and foster a close bond among its members. The website provides the Society's latest news, meetings, and conferences. Visitors can learn about the winners of the Society's yearly awards. Everyone can download copies of current and archived issues of the Society's newsletter describing the accomplishments of its members, employment opportunities, official Governing Board minutes, and more. Interested scientists can also find out about membership opportunities.